Emergency Q helps patients with less serious problems, such as earache, sinuses, vomiting and colds, which could be well managed in primary care, compare waiting times, see the costs (if applicable) and subsidies they are entitled to. “It helps patients make informed choices about the most appropriate care for their condition which may be at an Accident and Medical (A&M) clinic in the community. This care could be closer to their homes and values patient time,” says Emergency Department clinical head, Dr Vanessa Thornton. A screen in Middlemore Hospital ED and a free smartphone app show patients real-time information comparing the total waiting and treatment times for urgent care (not emergency care) within ED and local A&Ms. As part of the trial, in some situations, they can access a digital voucher to cover A&M co-payments. People without a smartphone can also benefit from the system as hospital staff can print the information and vouchers. Since the trial started in August, more than 500 patients who presented with less serious conditions to Middlemore Hospital’s ED have chosen to seek treatment at a local A&M clinic. 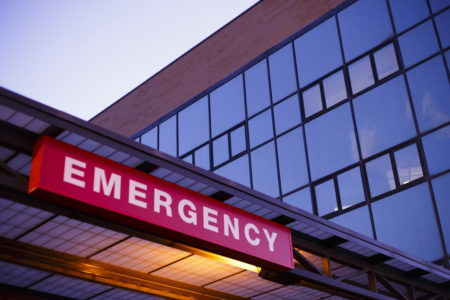 Emergency departments are for life and limb threatening conditions. It is estimated that it has saved these patients more than 2200 hours of waiting. Last month, Victoria Godinet went to Middlemore Hospital ED to treat an infection. “When the infection got worse over the weekend, I knew I needed treatment,” she says. The system also allows ED staff to track the patient to check when they arrive at the A&M clinic or to give them a call if they have concerns.